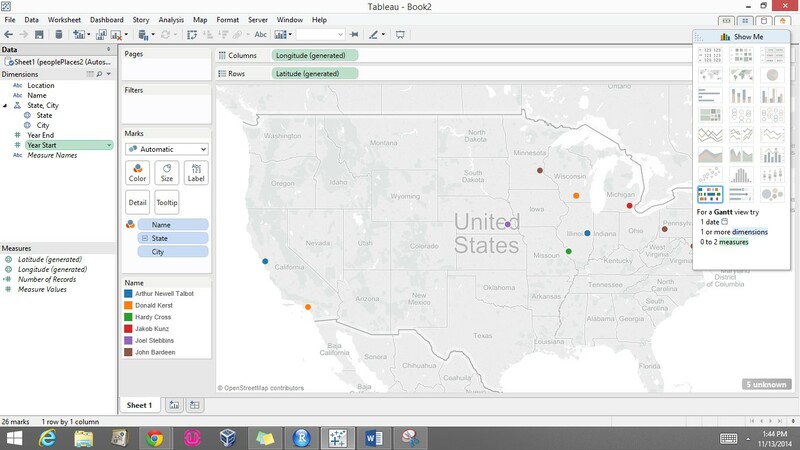 So I have been experimenting with a software package called Tableau for a little bit. 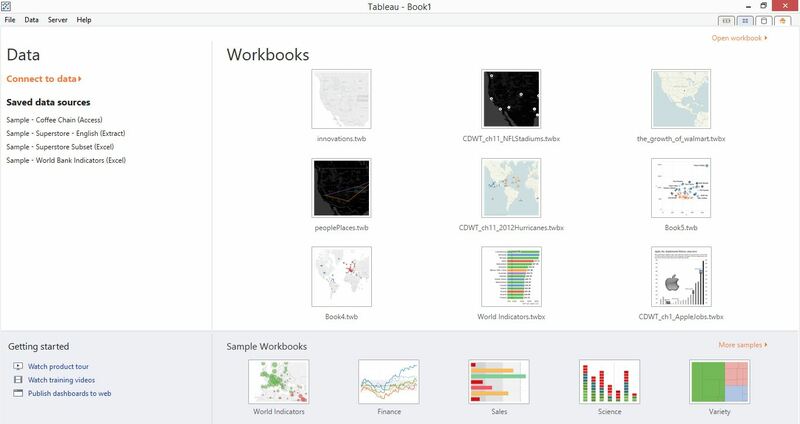 For those of you who do not know what Tableau is, it is a software tool that can automate data visualizations. Many businesses use Tableau to create dashboards, maps, etc. It has a hefty price tag but if you are a student you can get a year-long license for free. 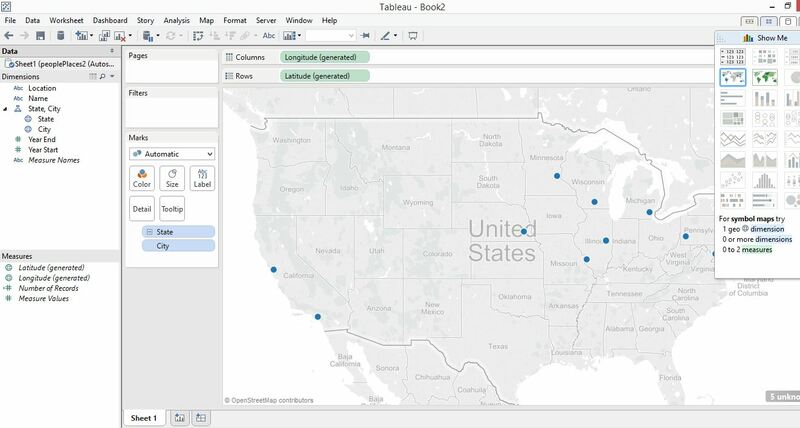 With Tableau you can upload data from a variety of sources such as Excel, SQL, text files, and so on. 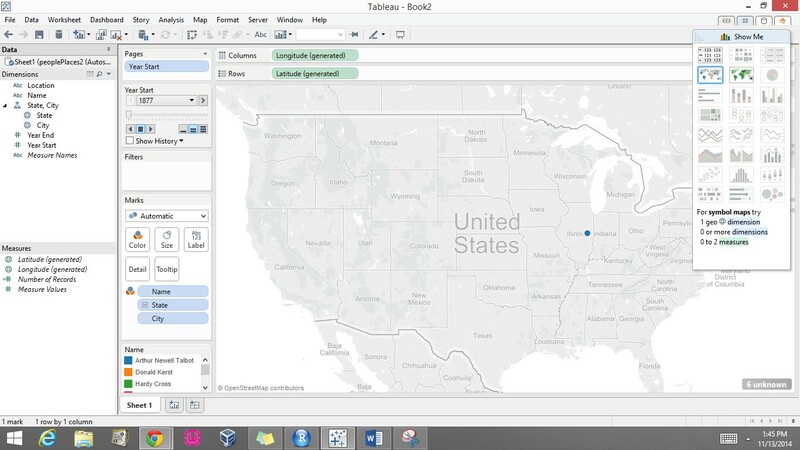 Today I will show you how to create an animated map with Tableau. 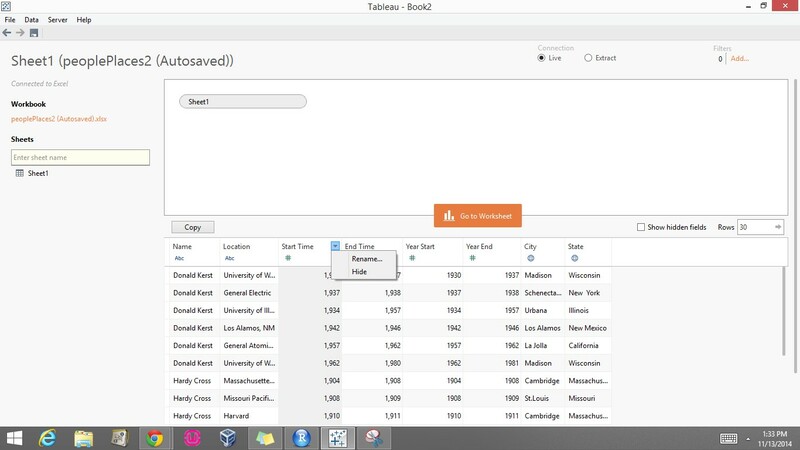 Step 2: Connect to your data. 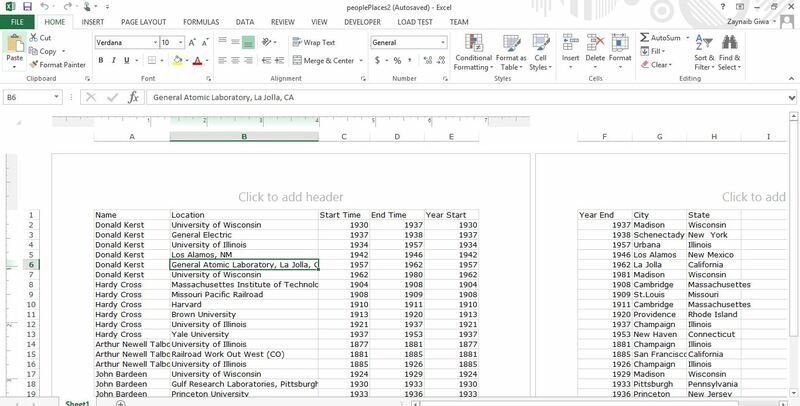 Choose the format of your data from the left hand menu. 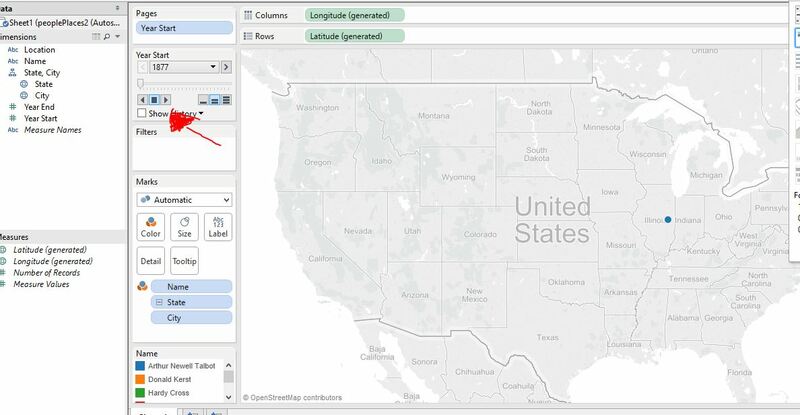 Step 4: Double click on the geographic dimension State and a map should appear with markers for each location in your data. Step 5: Since each mark represents different people I dragged the Name dimension to the colors box in the Marks Labels region. Step 7: Drag Year start to Pages. You will notice in your filters box new buttons pop up. 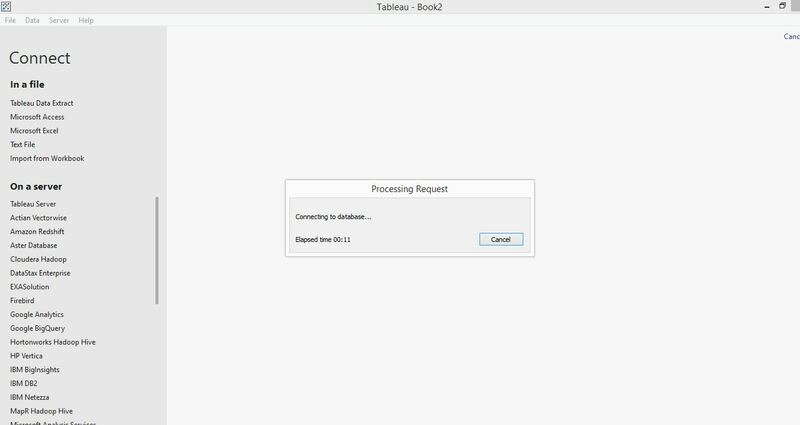 Step 8: Click the play button and the animation will start.